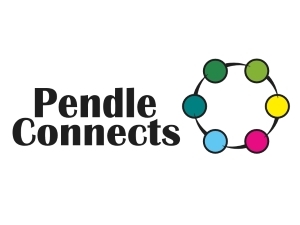 Pendle Connects & East Lancs Networking are informal business networking groups. We run two networking evenings per month at different venues across the Pendle & East Lancs areas. Normally attracting between 30-40 attendees per event and always with new people to meet, these provide a relaxed, friendly environment where proactive local business owners and representatives can build excellent relationships. Our groups are non-membership and open to all. There is no pressure to present, to bring ‘referrals’ or to attend every event. The informal nature of our networking encourages great conversations and much business is done as a result. We also run The Art of Effective Networking training days, teaching delegates how to get the most out of any networking (or other) events they attend, whether formal or informal. These comprise of various soft skills to help dispel nerves and build rapport, how to prepare for events, composing a compelling sixty-second pitch, what you need to be saying and how to say it, the importance of listening, how to follow up and many other tips and techniques. Essential for novice and experienced networkers alike they are hands-on interactive days guaranteed to enhance your confidence and networking skills, or you get your money back! Our aim is to connect and empower as many of Lancashire’s businesses as possible via our networking events and training days. Each time our businesses use the services of one another, collaborate with or recommend each other, it serves to keep local money in the local community and fuel the growth of all local businesses. Pendle Connects & East Lancs Networking believe that this investment in local business by local business is the best way to ensure Lancashire as a whole continues to grow and prosper. We are proud to play our part in bringing local businesses together. Don’t be afraid to be creative and innovative, if it’s not being done it doesn’t mean it can’t be. Also do make sure your growth goals are specific and measurable so you can tick them off. It’s important to acknowledge what you have achieved and reward yourself along the way. Lancashire is a fabulous melting hot-pot of business owners & entrepreneurs who aren’t afraid of hard work. Lancastrians and those who’ve chosen to relocate here, are supportive and see the benefits of working together. Our beautifully converted mills and purpose built offices and units provide inspiring spaces in which to nurture and grow your business, however small or large. Our manufacturing heritage is once more coming to the fore with many micro-manufacturing businesses expanding across the region. Lancashire is a very exciting place to be. Boost continue to provide an excellent service to local businesses. The growth of Lancashire business is key to the growth of the county’s economy. Equipping businesses with a strong growth plan, the skills to realise it, access to funding and behind the scenes support means that Boost will continue to play a key and pivotal role within the growth of Lancashire.